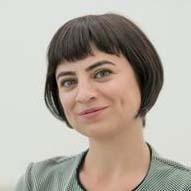 Nese studied sociology, political science, film, cultural and performance studies before embarking on an interdisciplinary research journey on food, performance and migration. Her latest research focuses on Performing Home & à la Turca foodscapes in London. She is curious about the intricate ways in which food related tasks enable us to communicate and dwell, via journeys that carry marks of ethnicity, religion, gender and national identities, but that are not necessarily defined by these. Home is where you make food happen, she claims. Her passion in exploring the dwelling practices from an Ingoldian/Heideggerian perspective extends to her critical and performative teaching practice. Her pedagogy focuses on sharing tools and methods where possible in open-space learning environments to grow knowledge, rather than transmit knowledge (See Ingold 2010). Her ultimate goal is to enable the learners to critically and creatively engage with themselves, with the world and with their path-making practices. She currently teaches Critical Issues in Law and Management Module for 2nd year Law & Business students (WBS); Academic Practice for Foundation Year students (WBS) and is co-convenor for two IATL modules Reinventing Education and Laughter. As an IAS/IATL Early Career Teaching fellow, she further explores the possibilities of a food-enabled transdisciplinary pedagogy. She also builds bridges between academic work and various publics as Impact Officer for the AHRC funded Sensing the City Project at Theatre and Performance Studies Department.